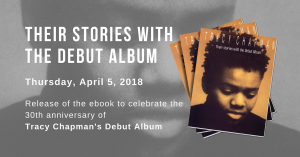 Tracy Chapman gently began her Saturday night performance at the Tampa Bay Performing Arts Center with Baby, Can I Hold You?, a lament to lost love. The singer ended the show two hours later with the rave-up reggae call to activism, Bob Marley and the Wailers’ classic Get Up, Stand Up. Chapman, in black slacks and shirt with her long dreadlocks pulled back, is the rare artist who addresses convincingly both matters of the heart and weightier issues of society. She oscillated between these two veins during a powerful, elegant set featuring songs about domestic violence, poverty, racism and, ultimately, simple heartbreak. But, for all the hoopla about Chapman being a message-bearing neo-folkie, she and her band got downright funky in spots. Drawing largely from the breathtaking self-titled debut she released 12 years ago, Chapman treated her almost 2,000 fans to Across The Lines, Talkin’ ‘Bout A Revolution, a stirring a cappella Behind The Wall, and, of course, the hit Fast Car. Chapman’s voice is like maple syrup, so rich and dense, it feels as if it’s spreading over you. Her singing voice contrasts with her speaking voice which is, quite frankly, oddly child-like and high pitched. (Also, she’s a terrific mumbler.) The profoundly shy Chapman’s stage patter is so awkward, it endears. Chapman burst out laughing after one song, informing the crowd that her bassist quietly asked her while jamming if there were any goods left from Chapman’s early morning donut run. She also addressed Hurricane Gordon, wondering if she and the band would be hit, asking the audience, “So what do you all do when there’s a hurricane?” She giggled. “Do you just run?” Several fans shouted confessions that Floridians use hurricane as an excuse to party. Chapman tried to liken it to the earthquakes she prepares for at home in California. “I just want to make sure we know the drill,” Chapman said. The singer and her superb five-member played seamlessly, fleshing out the bandit ballad For My Lover with ominous pedal steel guitar and accordion. She’s Got Her Ticket offered reggae-inflected merriment, with guitarist Doug Pettybone playing through a thick reggae dub effect, which escalated into a bright, wah-wah drenched finale, a welcome contrast to Chapman’s more brooding fare. Newer material such as Unsung Psalms, Speak The Word and Telling Stories, the title track of Chapman’s new album, proved Chapman still has a knack for writing simple melodies, though these days she sings less through fictional characters’ voices. The night’s highlight was the band’s rendition of the hit Give Me One Reason. Chapman and the boys stayed true to the song’s bluesy form until lead guitarist Steve Hunter began his snaky solo. Then the song went off into exciting new directions with Chapman showing her chops as a blues belter, riffing on the line “I told you that I love you, there ain’t no more to say,” making it an indignant lover’s mantra. Chapman resurrected the song, speeding up the tempo, for a reprise worthy of any Southern congregation revival. This brought wilder guitar licks, punchier organ and transformed Chapman’s blues into testifying. How can you tell if a band has found its groove? Some clues: every member’s shoulder is doing a herky jerky thrust in unison and its leader has her eyes closed and she’s shaking her head, no, no, assuring her lover in sure-footed stubbornness that there ain’t no more to say. Only Tracy Chapman’s fans did not agree. When Give Me One Reason finally died, they jumped to their feet wanting to hear more.